While the military use of drones has been the subject of much scrutiny, the use of drones for humanitarian purposes has so far received little attention. As the starting point for this study, it is argued that the prospect of using drones for humanitarian and other life-saving activities has produced an alternative discourse on drones, dedicated to developing and publicizing the endless possibilities that drones have for "doing good". Furthermore, it is suggested that the Good Drone narrative has been appropriated back into the drone warfare discourse, as a strategy to make war "more human". 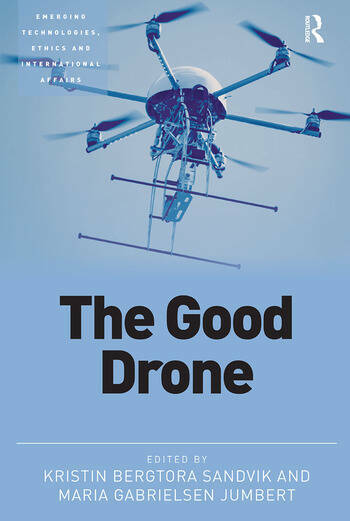 This book explores the role of the Good Drone as an organizing narrative for political projects, technology development and humanitarian action. Its contribution to the debate is to take stock of the multiple logics and rationales according to which drones are "good", with a primary objective to initiate a critical conversation about the political currency of "good". This study recognizes the many possibilities for the use of drones and takes these possibilities seriously by critically examining the difference the drones' functionalities can make, but also what difference the presence of drones themselves – as unmanned and flying objects – make. Discussed and analysed are the implications for the drone industry, user communities, and the areas of crisis where drones are deployed. What Does It Take to Be Good? Kristin Bergtora Sandvik is Associate Professor at the Department of Criminology and Sociology of Law at the University of Oslo, and Senior Researcher at the Peace Research Institute Oslo (PRIO). She holds a doctorate from Harvard Law School. Maria Gabrielsen Jumbert is Senior Researcher at PRIO and the Director of the Norwegian Centre for Humanitarian Studies. She holds a PhD from the Institut d'Etudes Politiques, SciencesPo Paris.